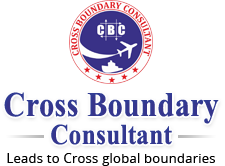 We are a reliable Career Consultant, located in Lucknow, Uttar Pradesh. We provide Career Consultancy to the individuals who are looking for a suitable field to shape their career. Our team of professionals has vast experience & expertise and is capable of assisting the candidates in choosing the appropriate career for themselves. For this, they analyze the resume of the individual on the basis of their experience, field of interest, hobbies, etc. and guide them in selecting the right career option for themselves.